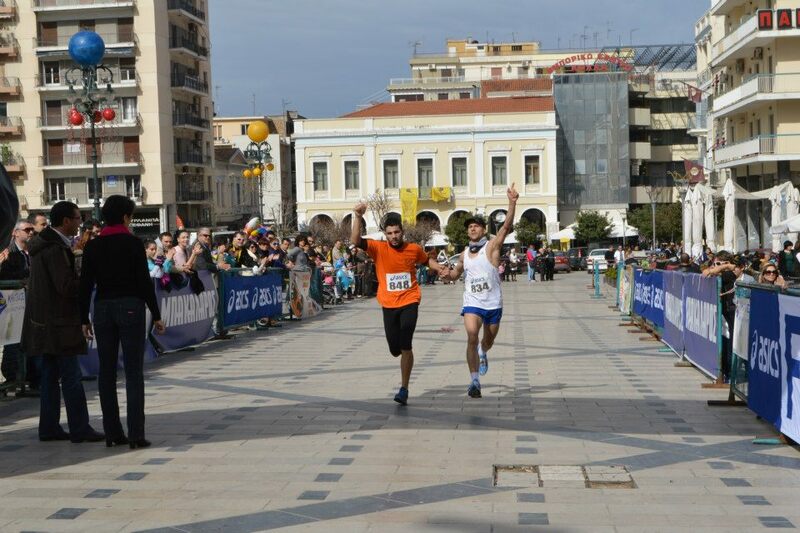 The "2 Peloponnesian Cities -Half Marathon" is a nice opportunity to run a fantastic route between two wonderful cities in Peloponnese, at that period of the year, when it is not crowded and thus enjoy it like locals. 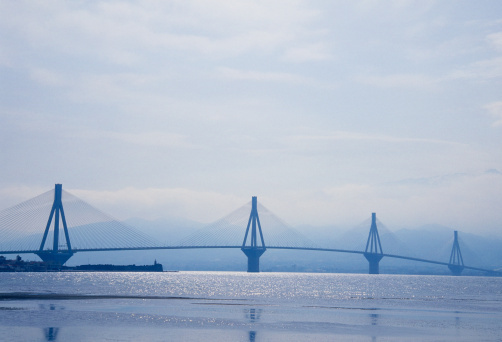 Runners will enjoy running across Rio-Antirio bridge, which is the largest bridge in Greece and connects the Peloponnese peninsula with mainland Greece also enjoy attractive places between mountain and sea that are considered to be an absolute favorite for an autumn escape that will remain etched in everyone’s mind. Welcome to the "2 Peloponnesian Cities - Half Marathon" which is taking place between Nafpaktos and Patras, a beautiful and picturesque location, situated in northern Peloponnese. Visitors will have the chance to experience a place where entertainment, history and culture mingle together to create a destination filled with wonderful discoveries. 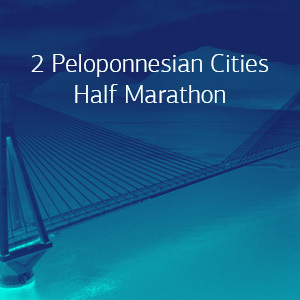 Participating in "2 Peloponnesian Cities - Half Marathon" provides a remarkable occasion for runners to run along a beautiful and fast route in northern Peloponnese and also enjoy two important cities, because of their marvelous surroundings and vivid rhythm. 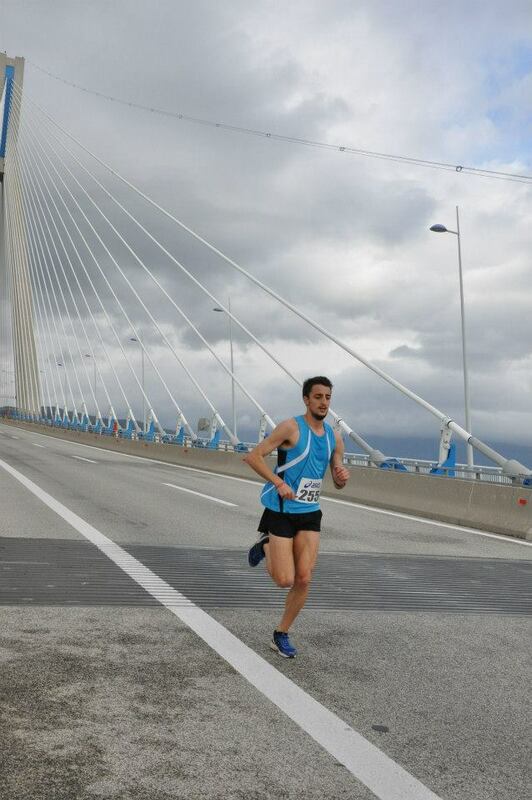 Runners will have the opportunity to cross the Rio-Antirrio bridge, officially named "Charilaos Trikoupis Bridge" after the statesman who first envisaged it and enjoy the view from the 2,880 m (9,449 ft) long bridge (approximately 1.8 miles) that dramatically improved access to and from the Peloponnese, which could previously be reached only by ferry or via the isthmus of Corinth in the east. This bridge is widely considered to be an engineering masterpiece, owing to several solutions applied to span the difficult site. These difficulties include deep water, insecure materials for foundations, seismic activity, the probability of tsunamis, and the expansion of the Gulf of Corinth due to plate tectonics. We offer several options varying from short weekend breaks in Patras including your entry to the race, to a full vacation plan in Patras and the surrounding area! Moreover, we can offer you training plans, actual training in the streets and routes of Patras and of course we will run with you! Registration is open until Saturday, 1st of February 2013. Participation can be obtained via online registration. There will be Aid stations to support the runners with bottled at the start line, the finish line and every 5 kilometers. The Simple offer is addressed to those who wish to come and stay in Patras on their own. It includes all the logistics of the race entry, transportation to and from the starting line, tips and advice for the specific race, training schedule depending on your personal targets and safe keeping of your belonging during the race. If you really want to feel like a champion, we are here to support you! This offer is ideal for those who want to experience Greece the "running way", and get the most out of their visit in Patras. We have selected the ideal locations for you, and we will suggest you the ideal vacation plan. 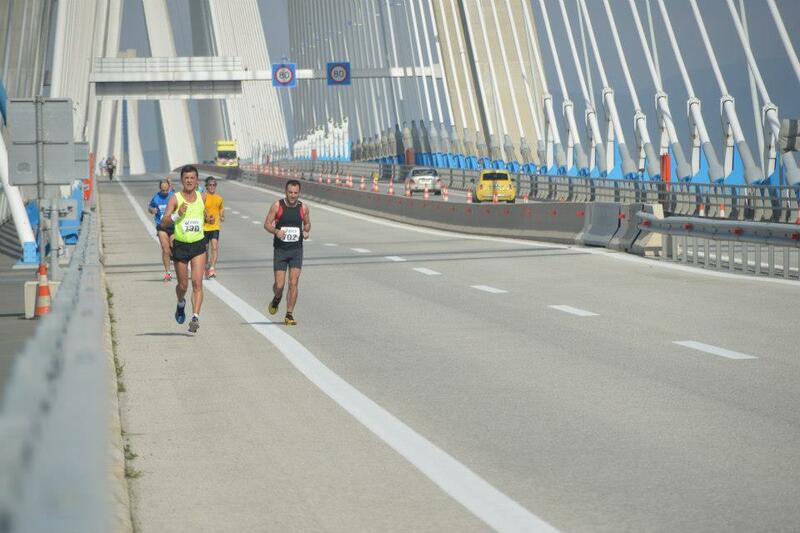 It includes the round trip from Patras to starting line and the hotel arrangements in Patras. It also includes your registration to the race and all the logistics of the race entry, transportation to and from the starting line, tips and advice for the specific race, training schedule depending on your personal targets, safe keeping of your belonging during the race, suggested vacation plan for all the days that you will be in Patras, and many more! It starts from €100 per person (runner or not) per night for accommodation in a 4star hotel. If you wish to stay longer, you may add as many nights as you want for an additional €60 per night per person. Please tell us all your requirements and preferences, how many days you want to spend in Patras, what other places you wish to visit and we will come back with a tailor-made offer specific for you! We can add trainings, running tours, car/bike rental, excursions, family activities and many more. In any case our offer will include the hotel arrangements, transportation to and from your hotel, participation to the race and all the logistics of the race entry, transportation to and from the starting line, tips and advice for the specific race, training schedule depending on your personal targets, safe keeping of your belonging during the race and suggested vacation plan for all the days that you will be in Patras. If you are a group of people, please tell us all your requirements, how many of you are running, what you like and what you do not like and we will come back with a tailor-made offer specific for you and your company! We can add trainings, running tours, car/bike rental, excursions, family activities and many more. In any case our offer will include the hotel arrangements, transportation to and from your hotel, participation to the race and all the logistics of the race entry, transportation to and from the starting line, tips and advice for the specific race, training schedule depending on your personal targets, safe keeping of your belonging during the race and suggested vacation plan for all the days that you will be in Patras. 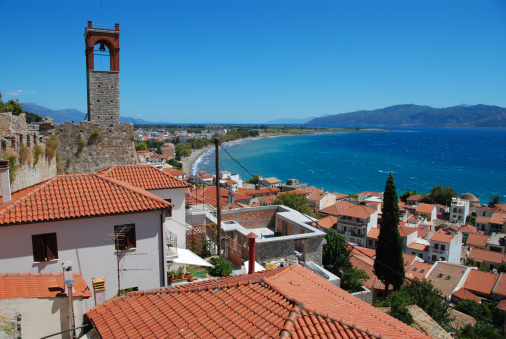 Nafpaktos lies between mountain and sea and is built between the mountain range of Pindos, entry of the Corinthian gulf. 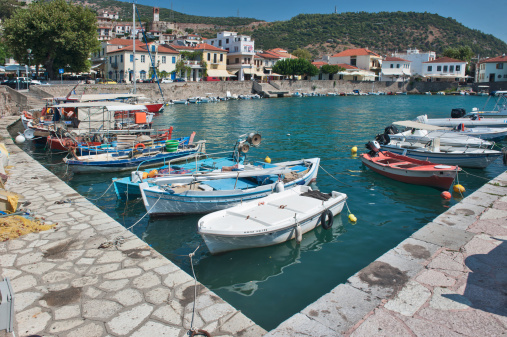 Nafpaktos is justly considered to be amongst the most scenic and romantic destinations of the Greek hinterland. To top off their natural beauty, there is their important history and the easy and quick access from Athens. In other words, it is an absolute favorite for an autumn escape that will remain etched in visitors’ mind. Nafpaktos is built between Antirrio and the mouth of the river Mornos and is the most beautiful town of the district of Aitoloakarnania. Its idyllic beaches face the Corinthian gulf; its mountain attractiveness encompasses Nafpaktia; its rich history is reflected on two fabulous monuments, the Venetian castle and the Venetian port. The port is the most picturesque spot of the town. A long clean beach starts from the port and extends for long. At the port, visitors will see a statue of Cervantes who lost his arm in a naval fight off Nafpkatos in the Medieval times. 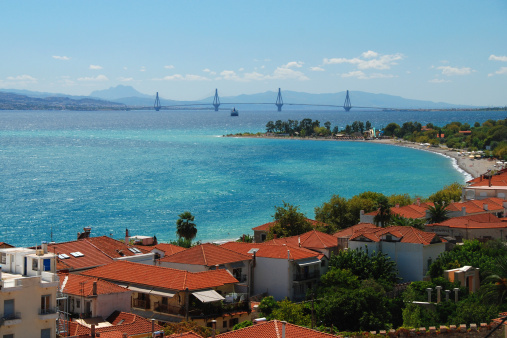 Its location is convenient for road trips to Delphi, Olympia, Mesolongi and the many seaside villages of the region. For the adventurous, alternative activities surround the region of Nafpaktos, rafting at Evino, mountain climbing, walking, Cross country ridding, paintball and many more. 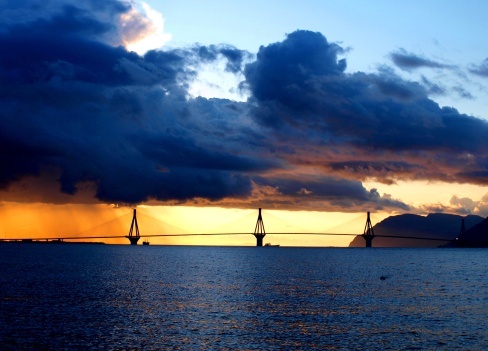 Nafpaktos is linked to Patras through Rio-Antirio bridge, which is the largest bridge in Greece and connects the Peloponnese peninsula with mainland Greece. The impressive Rio-Antirio bridge is the World's longest multi-span cable-stayed bridge. 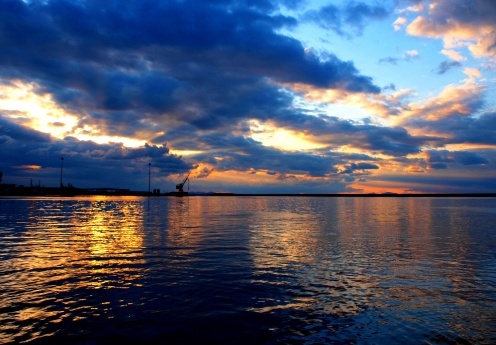 On the Patra side, there are the most popular strip of clubs and cafes along the water to visit. On the Antirio side, right next to the bridge are historical ruins that visitors can tour. Patras is Greece's third largest urban area and the regional capital of Western Greece, in northern Peloponnese, 215 km west of Athens. 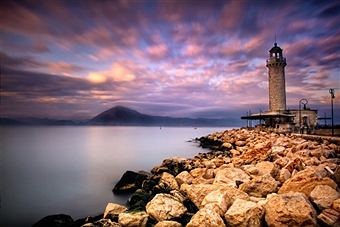 The city is built at the foothills of Mount Panachaikon, overlooking the Gulf of Patras. The city is divided into the upper and the lower section, connected with roads and broad stairs. The upper section (Ano Poli) is the older and the more picturesque; however, the lower section (Kato Poli) is laid out according to the 1858 city plan, featuring a variety of squares. The most notable of these are the Psila Alonia and the Georgiou I Square. A number of notable neoclassical buildings are to be found, including the Apollon Theatre in Georgiou I Square, the 'Town Hall, the headquarters of the Local Trade Association and the Court of Justice. In the center of the city, two historical monuments will certainly draw visitors’ attention: Saint Andrew Church, one of the biggest churches in the Balkans, and “Apollon" Municipal Theatre, one of the first opera houses in Europe. A visit to Spinney, the pine-tree-covered hill, the so-called “Veránda” of Patras will certainly uplift visitors’ senses. Its’ specially formed paths and the shade offered by the tall trees make it an ideal place for tourists to enjoy leisurely walks, or even go jogging. There it can also be found a Municipal tourist kiosk from where visitors can admire a breathtaking view of the city, the port and the Patras Gulf. Patras is one of the Greek cities that never sleep. The city can provide a big variety of coffee shops, restaurants, bars, clubs and shopping areas. Patras is well known for the wines produced by the Achaia Clauss wine factory and especially for a variety called Mavrodafni. Visitors should also taste the local liqueur called Tentoura which is usually served as a digestive. Every year, the city hosts one of Europe's largest and most colourful carnivals ; notable features of the Patras Carnival include its mammoth-sized satirical floats and extravagant balls and parades, enjoyed by hundreds of thousands of visitors in a pleasant Mediterranean climate. The Patras’ Port plays an important role in the economic life of Greece. It consists of a Passengers Port which handles an important part of the total passengers’ sea traffic between Greece and other countries and also of a Commercial Port. In the Patras Port there is also a Marina.